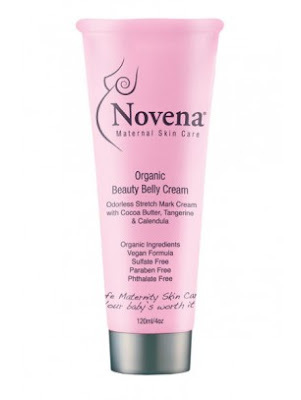 Novena Maternity is determined to provide women of childbearing years a worry free skincare line designed for pregnancy. Novena does not contain any of the possible harmful ingredients which could potentially affect the health of a developing baby. Whether you are pregnant, trying to conceive, or even one day planning on having a baby, Novena is the ideal choice for you and your miracle of life. Novena has been featured in print publications, such as Pregnancy, OK Magazine, American Spa, Fit Pregnancy, and Pregnacy & Newborn. 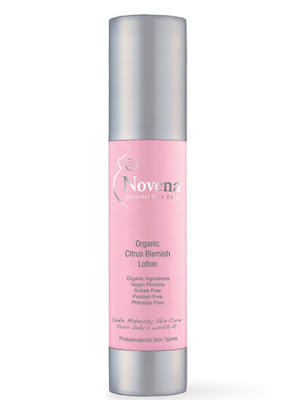 Novena Maternal Skin Care has become a favorite among celebrity Moms around the nation. 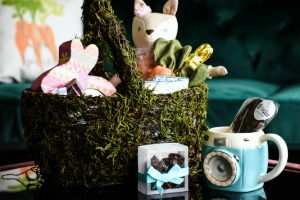 Trista Sutter (the Bachelorette) loves Novena so much that she ordered 56 bottles of the Organic Fruit Face Wash ($28) for her Baby Shower as Shower Gifts for her guests. 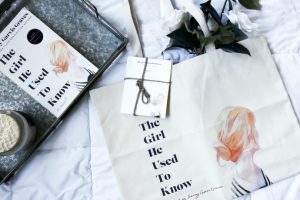 Molly Sims, Kimora Lee Simmons, Emily Deschanel, Maxine Bahns, Paz Vega, Molly Ringwald, Nicole Richie, Elizabeth Hasselbeck, and Mira Sorvino to name a few all have Novena! I’m very cautious about what I apply on my face, because my skin has a tendency to break out easily. I have been plagued with “teenage skin” since the age of 10. Surprisingly, I haven’t really experienced any skin issues during my pregnancy, especially during my first and second trimester. I like to think it’s because of the glorious pregnancy hormones, but it’s most likely due to the fact that I’m nearing my thirties. However, I did have a couple of mini breakouts recently, but they quickly went away since I’ve been using the Organic Citrus Blemish Lotion ($32). This product helps prevent and treat breakouts due to stress and hormonal changes. It also aids in healing existing ones. During this pregnancy, I haven’t experienced any issues with stretch marks. This is probably due to the fact that I’ve been using products, such as the Organic Beauty Belly Cream ($26) early on. The only stretch marks that I have are old, faded ones that I got as an overweight teen. While they’re no longer an issue since they’re barely noticeable, it be would be nice to find a product that will get rid of them altogether without having to get laser treatment. I can’t vouch for others, so I can only tell you from my experience that it didn’t remove old, existing stretch marks, it only prevented new ones. Perhaps, one will not be able to notice a difference with just one tube, unless they continuously buy and use this product, which could get a little pricey.